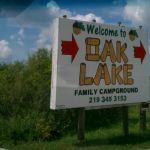 Ask fellow campers about "Oak Lake Family Campground" and nearby attractions. We had been seasonal campers for 8 years at Oak Lake Family Campground. The owners had rules but the place was well kept, family orientated, very safe as they were always watching what was going on. Never had any problems that were not immediately dealt with. Then the new owners came in May of 2018. The place went downhill fast. No security, gate wide open, no one kept watch what was happening, several items were stolen, grass not mowed in places rest of the year, speeding in park, NO management in place that had any authority. In late September new seasonal and weekend rates came out just weeks before closing date. Ours went up $800 with no improvements. We could not take it, we spent two weeks dismantling a very nice Park Model, deck, steel awning, and beautiful landscaping to get out and moved it 70 miles. We camped at Oak Lake Family Campground in a Cabin. We stayed one night each way going to and returning from Minnesota. The park served our purpose. Site was fairly level as we didn't unhitch since we were leaving early the next day. The office staff were very friendly. No wifi at the sites. Was able to pick up a few channels on satellite. Would stay here again if in the area. We camped at Oak Lake Family Campground in a Travel Trailer. 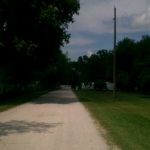 The pros- This is a nice park for family tent camping weekends or overnight stays with quick access from Interstate 65. Lake with toys and a little beach and playground for kids. Lots of trees, very shady and quiet during the week. The cons- Sites are sand, hard to level. Park website states they have WiFi. It's true, but only in the camp office/store. No WiFi provided to the park. Park office/store hours were unpredictable. Went at 10:00am and 5:30pm on weekdays to find it closed. Laundry room was very dirty and didn't appear to have been swept or mopped in ages. Trees along roads need to be trimmed for safe big rig access. We camped at Oak Lake Family Campground in a Motorhome. Fair Oaks Farms is a fun family outing and dinner at their Farmhouse restaurant was delish! AMENITIES: TV signals are received "off-the-air" with an antenna and stations populated from Chicago and South Bend/Mishawaka; they were very clear and sharp. Hook-ups (water, sewer, 30/50 amp electric) readily available. A public bathhouse that is well maintained and cleaned daily. There is a WIFI hotspot that appears to cover the grounds. Didn't have any problems using it. We camped at Oak Lake Family Campground in a Fifth Wheel. Well shaded pull-thru site, owner was very nice and guided us to our site. Nice earthen pond / swim area with large air toys (we did not partake in our one night stay). Very shaded area, but probably was over-due for mowing. The sites (and area) are sand or very fine chat-gravel - I slipped tires in the loose soil while positioning my fiver. Location is fairly convenient off the interstate - far enough to not be noisy. We did not try the wifi. We camped at Oak Lake Family Campground in a Fifth Wheel. 8 miles down the road is Fair Oaks Farms Dairy Adventure - I would call it a Must-See. Good quality interior gravel roads, level grass and gravel campsites. Lots of trees. The recent heavy rains knocked out the sewer (septic system) due to high water table. Working on solutions. WIFI slow. Convenient to I-65 but away from traffic noise. Very nice folks. We camped at Oak Lake Family Campground in a Motorhome. Campground had volleyball court, jumpshot, fun cycles, jumping pillow, playground, and a pond with inflatables. They charged $15/kid for the weekend for the use of the jumpshot, jumping pillow, fun cycles, and inflatables. The camp store had some hot food and soft serve ice cream, along with miscellaneous food items, candy, pop, etc. They had a glow in the dark parade on Saturday, which the kids loved. There were a lot of kids around during the day, but it was pretty quiet at night. The seasonals were newer trailers, and were toward the back of the campground. Some of the seasonals were all gravel instead of grass, but maybe that's less maintenance? There weren't a lot of golf carts, which was nice. If the wind shifted, you got a whiff of cow manure, but there are a lot of farms in the area. There was also the occasional train whistle. The owner and staff were very friendly. We will be back. We camped at Oak Lake Family Campground in a Travel Trailer. 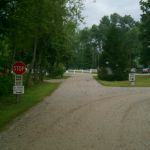 We stayed in site #50 in this charming RV park. From our front door, we looked about 50 feet to the edge of their "lake" (large pond) with its fountain. Wi-Fi worked well, as did our Verizon and T-Mobile devices. Good interior roads, level sites, many seasonal campers. This place is so serene - we hated to leave. We camped at Oak Lake Family Campground in a Fifth Wheel. This campground was nice. We stayed here through the winter and found that ALL amenities were shut down, including the plowing of the campground roads. The owners are nice, accommodating people. They are a little testy about the payments. If you stay for a month and leave early you will not be getting a refund even with giving notice. They then put you on a weekly rate and charge you money for leaving early. We came to a fair arrangement. But still a little frustrating. The fall leaves were beautiful and the campsites level. Very sandy and muddy...so the inside of the RV's get dirty quickly. We camped at Oak Lake Family Campground in a Travel Trailer. This park served the purpose for a place to stay while visiting friends for 3 nights in the Chicago area. Pickings for an RV park around here are almost nonexistent. Sites are gravel/grass and fairly level. Voltage was good but water pressure fluctuated quite a bit. We were lucky to get the best site in the park for transients. We had a clear shot for my sat TV tripod/dish. We would stay here again but would probably keep searching for a better place. We camped at Oak Lake Family Campground in a Fifth Wheel. This was a nice campground. The people were very nice. We checked in and they escorted us to our site. There are quite a few seasonal sites, but it looked like some dropped off their RV never to return. However, most were well kept. We were assigned a wonderful pull-through site with a view of the beach and easy access to fishing. Marked trails, which we didn't take advantage of due to rain. Nice general store, which also served as a small gathering place and game room. Hot baked bread on Saturday morning for a small price. We would have given this park a 10 if they had a pool and an organized activity for Saturday night. Close to gas stations, grocery store and ice cream parlor. We will go back!! We camped at Oak Lake Family Campground in a Travel Trailer. Oak Lake Family Campground was our very first campground where we tried out our new hybrid trailer. The site was very clean, quiet, and small (which we liked). Unfortunately, because the site is small, there is only one bathroom/shower house available ( which is very clean). The staff was very nice and helpful. We did not have any children with us on this trip, but it appeared that they had a lake, bikes, and basketball court. We loved the price- $37. However, we did not like their nets (bugs). We camped at Oak Lake Family Campground in a Travel Trailer. What a find!! This is clearly an older, established campground that acts like one!! Loads of tall trees for a very woodsy feel, lots of connected winding roads for walking and biking, lovely lake with swim beach and pier and island for catch and release fishing. Surrounded by farmland -- classic Hoosierland!! I love pools, and they don't have one - the only thing that keeps my rating from being a 10! The owner came out to our rig to get her "dog fix" when she found out we had two large and friendly pooches. Very welcoming and helpful staff. Not much entertainment in the area, but if you want a true camping experience, don't miss this one!! 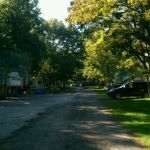 We camped at Oak Lake Family Campground in a Motorhome. We camped over Memorial Day weekend. The park was clean and the staff was friendly. On Saturday and Sunday they offered activities for kids and adults. They also offered homemade waffles, bread, biscuits and gravy for a $. It was very good. On Sunday they had a lighted parade which was the best I've seen. The site we had was very accommodating for our large travel trailer. Very wooded and quiet. The only cons were no pool, they have a nice lake with toys in it and no storm shelter. We would definitely stay again. Would have given a 10 if they had a pool. We camped at Oak Lake Family Campground in a Travel Trailer. We stayed 5 weeks in site 1. Has full 50amp hookups. Owners are great and will help in anyway possible, including having people bring out propane. There's a dump on site if needed. Has new restrooms and laundry. They have owned the campground one year and trying to bring it up to higher standards. The lake has a trampoline which makes it a lot of fun for all ages. Kids playground is great too. We will stay here often while visiting family in Chicago. We camped at Oak Lake Family Campground in a Fifth Wheel. Are you affiliated with Oak Lake Family Campground ?